They accompany us from the moment we’re born. We need them to send astronauts into space and to bake a cake. They are inconspicuous but extremely precise: kilograms, metres and seconds. And they measure out our lives and our industrial progress. But few of us are aware of the highly complicated calculations they’re based on and the extraordinary stories that led to their invention – until they finally formed the first standardized international language of science, trade and commerce. Scientists are now rewriting history once again. 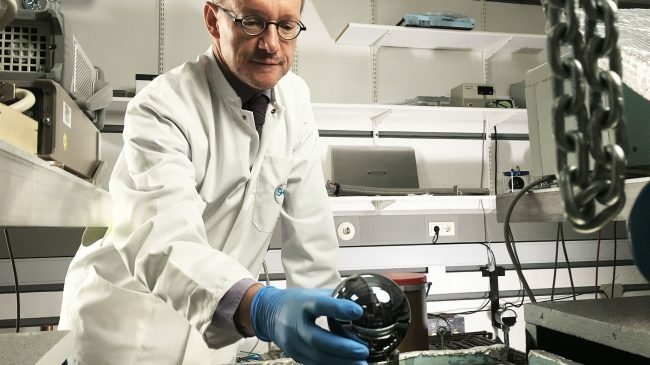 They’re redefining the kilogram, because the original prototype – a metal cylinder in Paris – is no longer stable. For over twenty years they have been working on new methods and experiencing many ups and downs – until they now finally seem to have reached their goal.